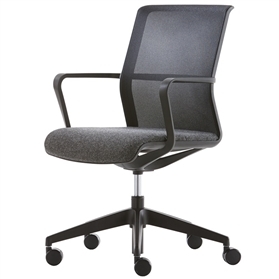 Circo, designed by Justas Kolberg is a classically proportioned conference and light work chair. The design has been realised from the development of a complex single injection moulded piece. 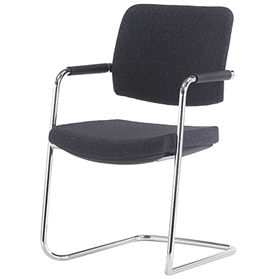 The plastic parts are moulded in a choice of Light Grey, Anthracite or Black, the chair utilises a 3D spacer mesh for the back and an upholstered seat. 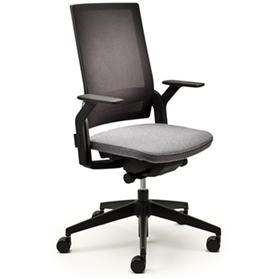 To further enhance the abilities and performance of the chair a minimalist height adjustment and pivot mechanism has been developed that is housed within the chair frame itself.